Ogilvie’s is the ‘Tee View’ restaurant here at Thorpeness Golf Club & Hotel, which is open to all. 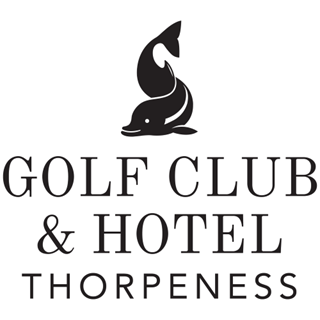 Serving a menu of Grill House classics using local Suffolk ingredients Ogilvie's Grill House at Thorpeness Golf Club & Hotel specialises in beef cuts which are sourced locally. Our 5 cuts of beef sit alongside our dry rub chicken dishes and our seasonal seafood plates. At Ogilvie's you are guaranteed a warm welcome and a perfectly cooked meal every time. First visit, food choices and quality very good. Helpful friendly and attentive staff, nice atmosphere with reasonable prices. Nicest Sunday roast I've had in years. Beef was super tender and gravy to die for. Two superb desserts. Marked down for average service. Chased drinks order after 15min then food arrived so chased again and then finally got drinks. Plenty of staff but didn't seem to know what was going on. When we got bill it was delivered to table. Asked another member of staff so I could pay to be told that I had to pay at till. Why didn't first person who delivered bill tell me this. Nice location too at the golf club. Relaxed dress code and kid friendly. Son had best giant fish finger ever. Would go back. I have been coming to Thorpeness for the last 8 years and I've never been disappointed, one of my favourite venues in my golfing calendar !! The reservation for dinner was a little strange as the restaurant was not at all full and we could have had an earlier booking but this was not available. The food and service was awesome and it was a really enjoyable evening after a fantastic game of golf would go back again and intend on doing just that .